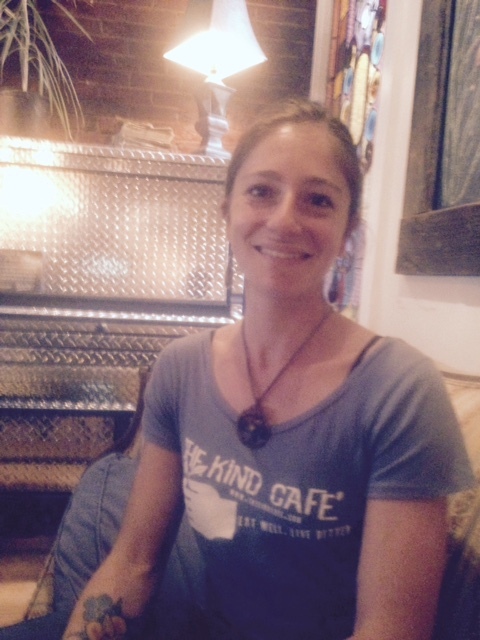 Laura Jeanine Prosseda is leaving her job at the Kind Cafe to help a friend grow an organic vegetable farm. She is moving to Eugene, Oregon. Its nothing against Selinsgrove, according to Laura. “My heart and soul is out West,” Laura told the News. Matthew Lysiak, a regular customer at the Kind Cafe, says its no good. “It stinks that she’s leaving,” Matthew told the News. This entry was posted on May 1, 2015 by Hilde Kate Lysiak and tagged Hilde kate lysiak, kind cafe, laura prosseda, Orange Street News, selinsgrove.